For writers, few fantasies are as alluring—or as misguided—as the idea that the terms “first novel” and “debut novel” are interchangeable. 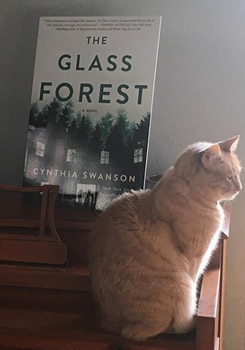 Cynthia Swanson, author of THE GLASS FOREST , knows a thing or two about the path that often stretches between the first book an author writes and the first one that finds its way into bookstores—a path that’s strewn with false starts, trial runs, and, well, books. Swanson had a couple of these so-called “trunk novels” under her belt before she received a pre-empt offer from HarperCollins for what would become her 2015 debut, The Bookseller, a 1950s-set alternate-reality tale about a bookshop owner who finds the lines blurring between the waking world and her literal dream life. Since The Bookseller hit shelves in March 2015, it’s been translated into 18 languages and optioned as a big-screen vehicle for producer/star Julia Roberts. It’s an auspicious runway for Swanson’s follow-up release, which takes her back to The Bookseller’s mid-century setting but represents a marked departure in genre. 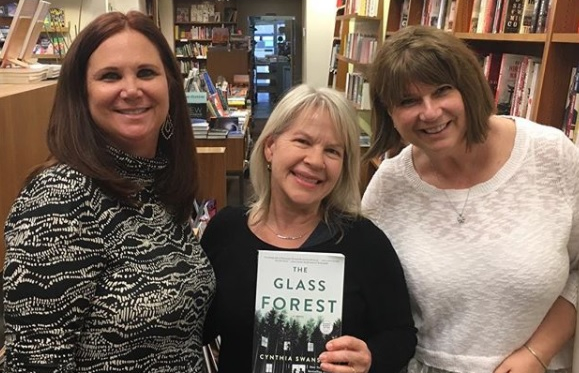 THE GLASS FOREST trades The Bookseller’s alternate-reality fantasy for crackling domestic suspense with the story of a young wife and mother who slowly realizes that her new in-laws are harboring secrets that could burn her idyllic life to the ground. 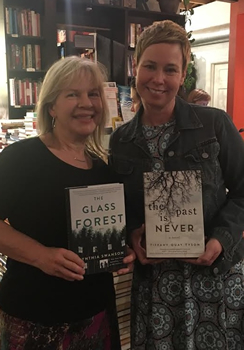 Swanson says the idea for THE GLASS FOREST actually predates The Bookseller, but the story, with its alternating points of view and a flashback-heavy timeline that stretches from the 1940s through 1960, was too ambitious to tackle right away. “Someday” finally arrived, and THE GLASS FOREST grew from a simple but compelling idea: What would it be like to live in the house of a person who’d gone missing? 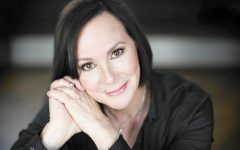 Swanson eventually fleshed out the story of Angie Glass and her husband Paul, who receive news that Paul’s brother, Henry, has committed suicide after his wife, Silja, walked out on him, effectively orphaning Henry and Silja’s 17-year-old daughter, Ruby. With their own infant son in tow, Angie and Paul travel to Ruby’s insular hometown of Stonekill, N.Y., where they take up residence in the shattered family’s rural home—a foreboding, strikingly modern showplace tucked away in the forests of southern New York. The story unfolds in the alternating perspectives of its three female leads— naïve and idealistic Angie; worldly and secretive Silja; distant and cunning Ruby—as the Glass family’s tangle of secrets gradually unravels. While THE GLASS FOREST doesn’t bear many similarities to The Bookseller in tone or genre, it does have one major factor in common with Swanson’s debut: it once again finds the author mining the social turmoil of midcentury America. Swanson’s writerly preoccupation with the era began as a necessity of plot, but has since evolved into something deeper. 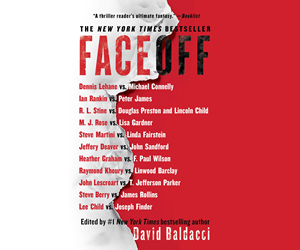 To bring those concerns into sharp focus, Swanson weaves in several historical incidents, including the Rosenberg executions, the rise of the John Birch Society, and the Peekskill riots of 1949. But those events are more than background color; they’re vividly rendered plot points that shape the lives of the book’s characters in dramatic, intensely personal ways. 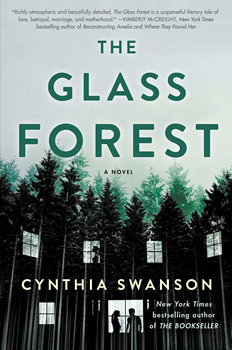 Swanson happily acknowledges that THE GLASS FOREST, with its tale of a young wife haunted by the outsized reputation of a woman who inhabited a home before her, owes much to Daphne du Maurier’s 1938 gothic suspense milestone Rebecca. Readers might also notice shades of Shirley Jackson—a writer whose work highlighted the challenges faced by women in a society that often denied them control over their lives—lurking in the background. 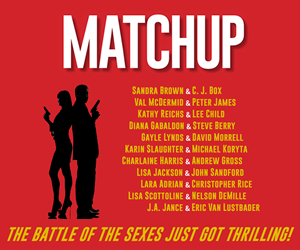 Swanson says it’s no accident that so many of the book’s characters, from the trio of women at its center to the secondary characters hovering at its perimeters, struggle with issues of agency and independence. 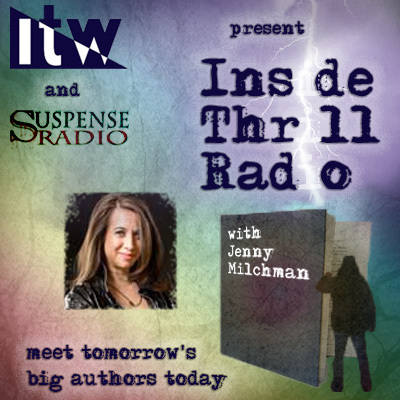 Swanson aims to explore similar themes in her next novel, which she says will land somewhere between The Bookseller and THE GLASS FOREST in terms of tone and genre.